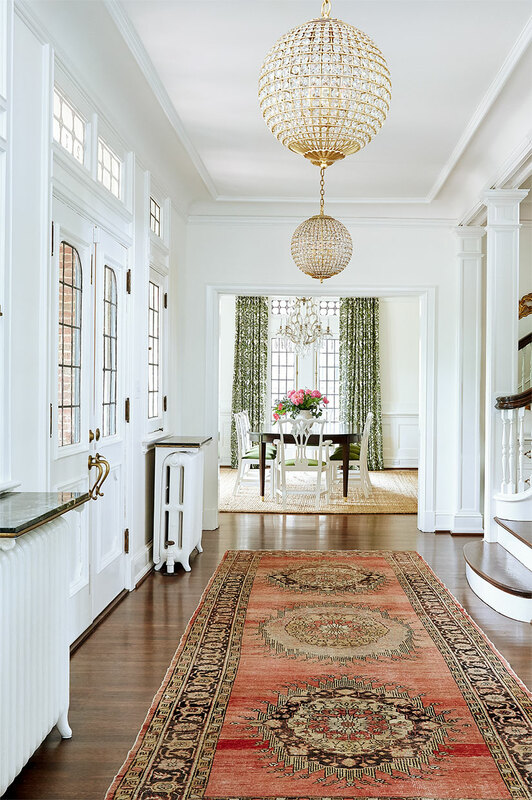 This gorgeous St. Louis abode was featured in Style at Home Magazine. Designer Amie Corley mixes vibrant patterns with a bright color palette to create a fresh and fabulous interior. Amie kept the home’s architectural bones neutral but gave the walls and trim throughout the main level different finishes. 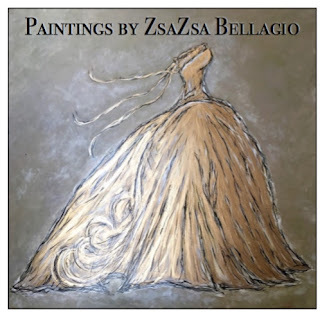 The living room features neutral furnishings like the charcoal-hued velvet sofas and creamy Berber-style rug, which echoes the leaded windows. Amie added an antique mirror to the period limestone fireplace and played up the latter’s earthy tones with leopard-print toss cushions. The emerald shagreen side table lends the space an unexpected colour punch. 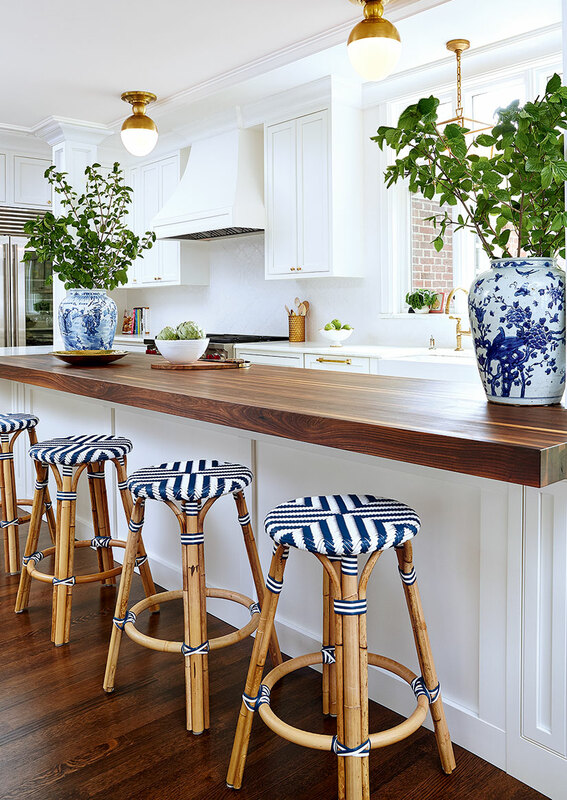 The kitchen, newly expanded to include an eat-in area, boasts nautical-chic white shaker-style cabinets with brass hardware, warm wood accents, spherical flush-mount light fixtures and subtle hits of blue. 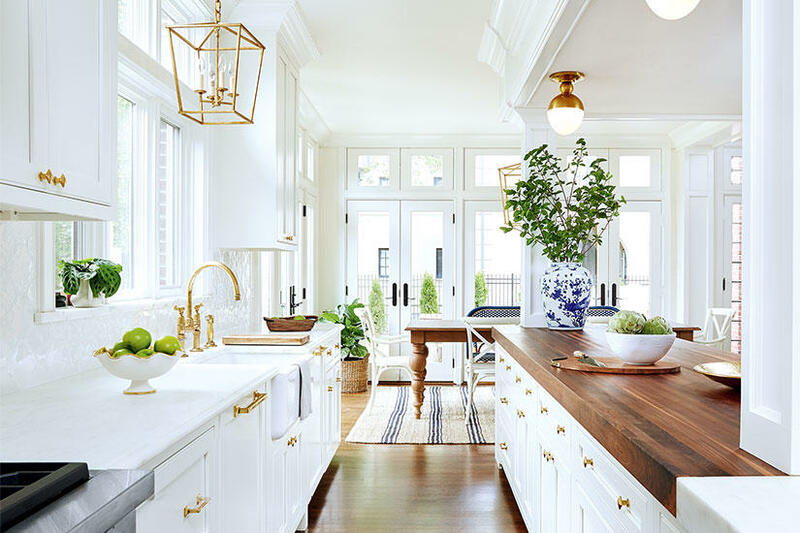 Gold-hued lantern-like pendant lights provide a focal point above the apron sink and dining table, while a navy-striped jute rug adds textural interest. 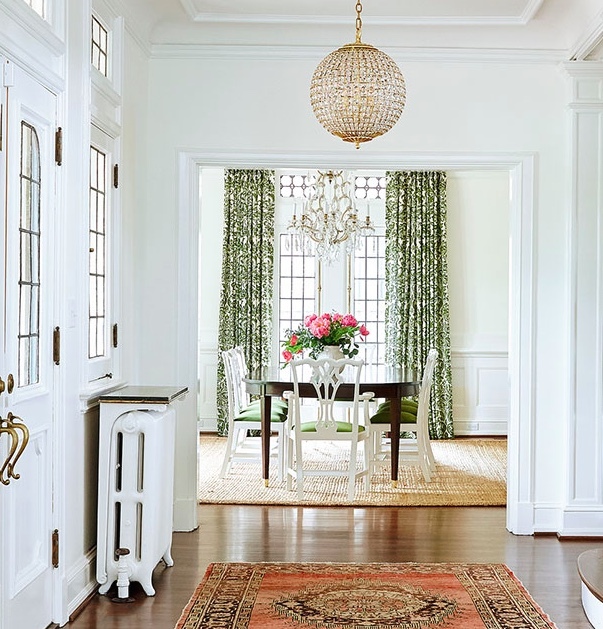 Bringing the outside in, grassy green hues (on the damask drapery and velvet-upholstered chair seats) add sophistication to the dining room. 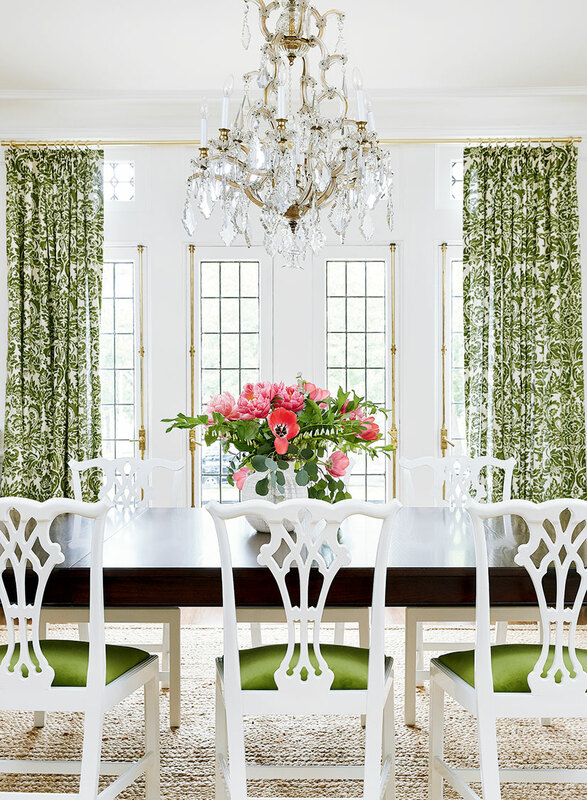 The vintage wooden chair frames were updated with white lacquer to make the green pop, while the dark dining table grounds the otherwise breezy space. An antique Oushak runner adds an old-world patina to the transitional entryway. “It weaves in welcoming peach and blush colours, which look amazing against the white walls and hardwood floor,” says Amie. A pair of spherical brass-and-crystal pendant lights infuse a dose of modern glamour. 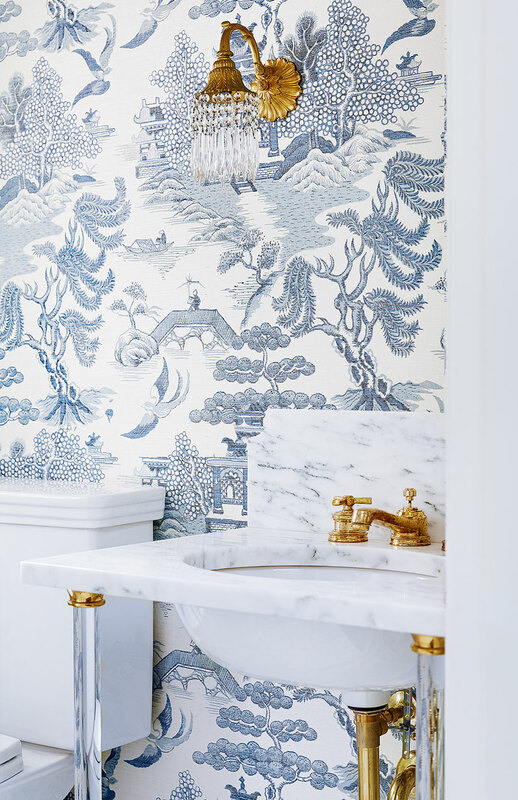 In one of the powder rooms, a Calacatta marble washstand sink with glass legs is an elegant showpiece that still keeps the chinoiserie grasscloth wallpaper at centre stage. the exposed plumbing and vintage sconce (original to the home) bring a warm brassy hue into play. The 12-year-old daughter’s bedroom is a space that can transition into her teenage years, with cornflower blue showing up as an accent colour in the bedding, upholstery and leopard-print rug. 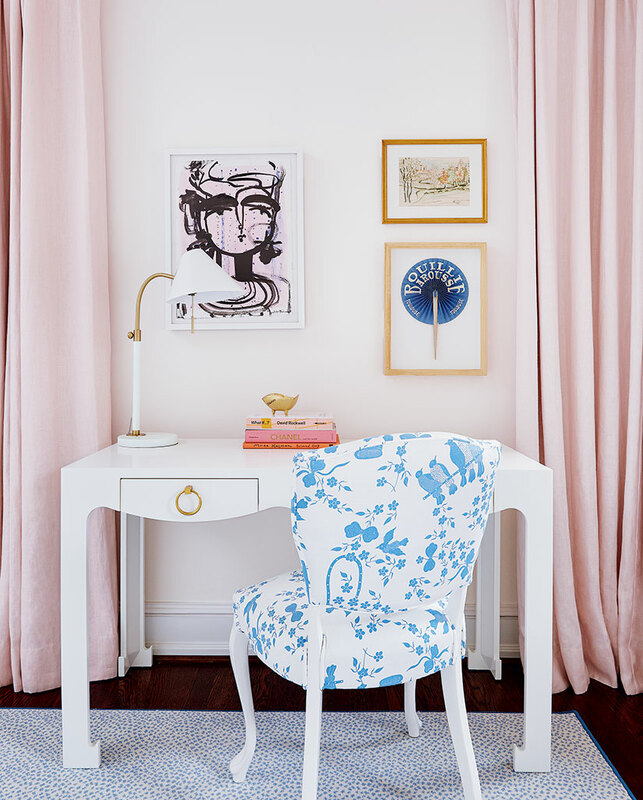 “Drapery that matches the wall colour creates a cozy feeling without adding pattern,” says Amie. 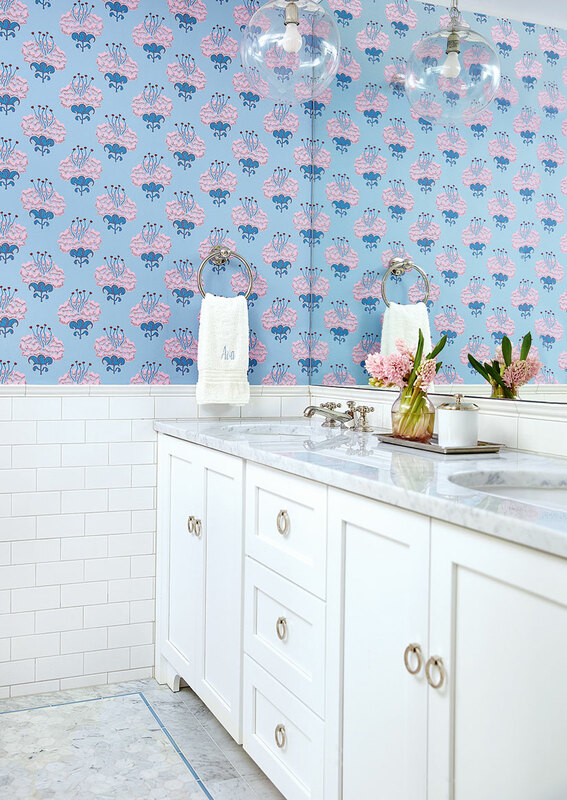 In the bathroom shared by the two daughters (ages six and 12), floral wallpaper in peony pink and cornflower blue picks up on the scheme in the attached bedroom. The narrow blue floor tiles, nickel hardware and subway tile wainscotting keep things from getting too girly. 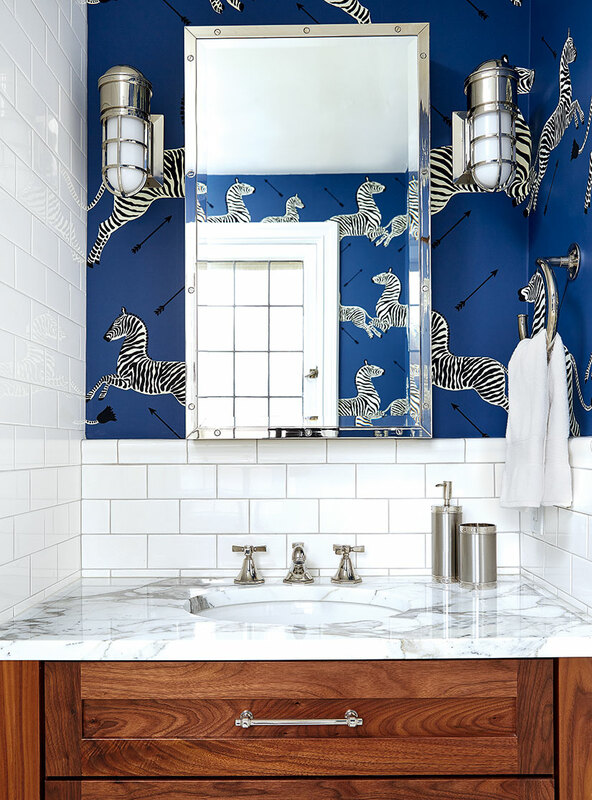 Bright blue wallpaper with a playful zebra print enlivens the teenage son’s ensuite, while silver nautical-inspired sconces and a boxy walnut vanity impart a masculine vibe.